Armstrong. They specialize in floor and ceiling systems and recently added cabinets to their list of products which can be used for both commercial and for residential applications. Their corporate headquarters is located in Lancaster, Pennsylvania but they have plant locations nation-wide and internationally for the production of their ceiling and flooring products. Currently their cabinetry is only being manufactured in Pennsylvania. The company began in 1860 and publicized their desire to have their impact on the environment be as minimal as possible starting in 1909 by recycling cork waste into linoleum flooring. 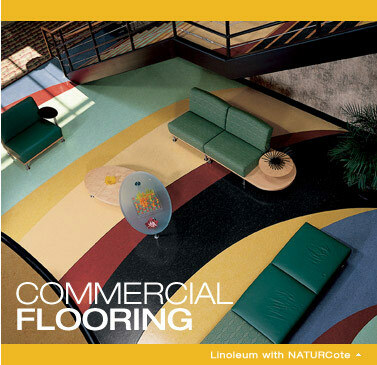 For over 100 years they have been producing linoleum products made of 100 percent natural ingredients but continued to introduce better products with easier maintenance and durability. Products such as their heterogeneous sheet flooring which requires no polishing or buffing is an example of their continued efforts to make better consumer products. These three combined product lines allow for 56 different visual finishes which include wood grains, marble textures and abstract designs. Migrations is offered in a variety of 28 interchangeable and intermixable colors from neutrals to bold options of blues, reds, greens, oranges, and yellows. This program is called Ceiling-2-Ceiling and is a closed-loop recycling process with a compatible manufacturing process that reduces their environmental footprint. They have created the BioAcoustic Ceiling, Mineral Fiber and Fiberglass Ceilings all which are sustainable, recyclable, have high acoustics and light reflectance. The BioAcoustic Ceiling is the greenest ceiling system on the market today and is made of 45% rapidly renewable content. 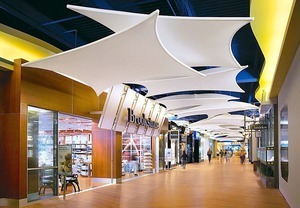 Their environmentally friendly ceiling options come in a variety of 55 products and appearances. Recently in 2009 they added no formaldehyde cabinets, “Origins”, to their list of products, along with “Tierra”, renewable acoustic ceilings, and “DC FlexZone”, a low-voltage ceiling grid for electronics. As one company, Armstrong is leading the design industries with new products and their continued environmentally aware attitude.